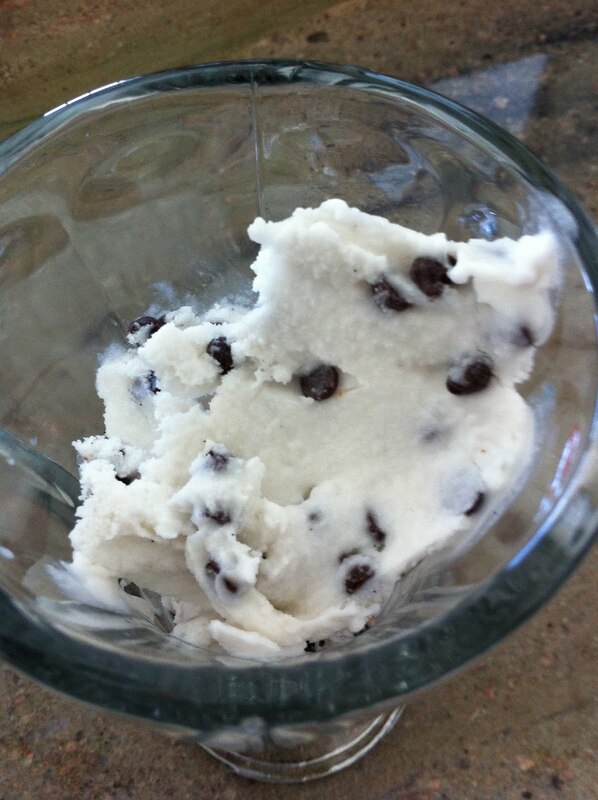 We got an ice cream maker and now I am creating our new line of famous vegan ice cream called Ice Cream Shmice Cream! This is recipe #1! Combine the coconut milk and sugar. Halve the vanilla bean, scrape out the beans, and put them into the mixture. Drop the bean in too and place in the refrigerator for at least 2 hours. Take the vanilla bean out and pour the mixture into the ice cream maker. Churn for 20 minutes. Pour the chocolate chips in and voila! Vanilla chocolate chip Shmice Cream! Place it into a freezer safe container and let it hang out for at least 4 hours (better over night) so that it really comes together. 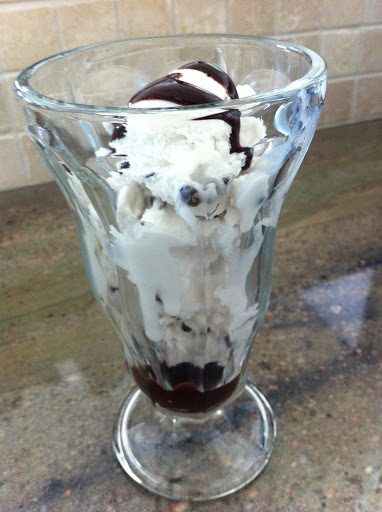 Enjoy with vegan chocolate sauce or strawberries or bananas…the possibilities are endless!